God made men and women to be unique. We are different by His design in order to display the full range of His glory. Because of this, Rush Creek believes it’s biblical to intentionally connect, train, and empower women in specific ways. The ministry of the Women of Rush Creek is not a silo pulling women out of the body of Christ, but rather exists to strengthen the fiber of women throughout our entire church. We believe that God has created each woman to belong to His family, made her to become more like Jesus, and called her to go beyond her self to share His love with others. 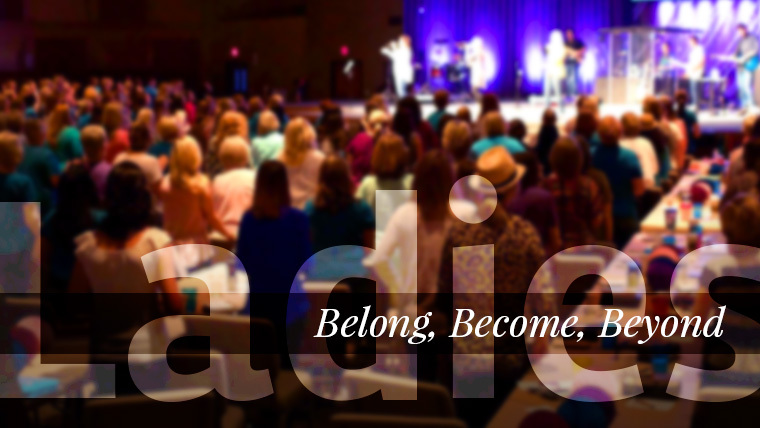 Belong Gatherings: We gather during the year with all women in order to worship and connect in deep biblical community. Become Studies: We meet for studies on campus at different points of the year to be trained and equipped in God's word. Women’s Small Groups: We meet in small groups beyond the walls of the church to reach other women where we live, work, and play to help them meet Jesus as we share our lives with them. Our prayer is that God would impact our community and our world through the Women of Rush Creek as we help each other to discover and live out His unique calling for our lives. Watch the Belong Conference 2015 by following the links below. Become Studies // The next Become Studies will begin in Fall 2019. Learn more at rush.is/becomestudies. Women’s Small Groups // Gathering all over our community at various times.